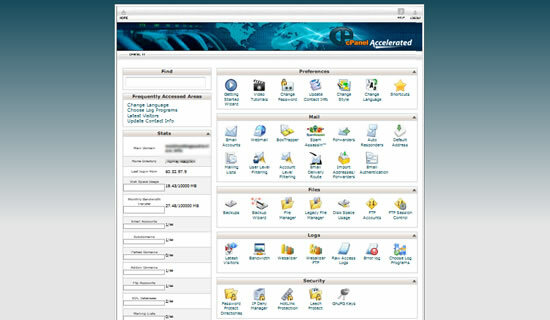 WebHostingPad is a divison of Omnis networks that was formed in year 2005. The hosting company is famous with its low cost web hosting service and I picked up them as my favorite Budget Hosting not long ago. As the company is relative new, I hope this FAQ session will help you understand further about their service. What types of hosting service does WebHostingPad offer? WebHostingPad offers only one hosting plan – shared Linux hosting. Now just only $1.99/month and Free domain included ! How much bandwidth and disk storage do I get from WebHostingPad? Unlimited bandwidth and disk storage. How long will it take to get my website online with WebHostingPad? According to the officials, new WebHostingPad account will be setup within the next few hours (roughly 4 to 8 hours) of your purchase. Your detail account information will be sent via e-mail once everything is ready. My personal experience, however, was superb. My WebHostingPad account was ready the next few MINUTES after I pay. Can I host multiple domain in one WebHostingPad account? Yes. WebHostingPad allows unlimited addon domains, this means you can host all your domains under one WebHostingPad hosting account. What kind of control panel is WebHostingPad using? cPanel. Here’s the print screen of my WebHostingPad control main page. Does WebHostingPad provide auto-installation scripts? Yes, Fantastico is included in most WebHostingPad hosting plans. You can install tons of open source web application (For instance: Joomla, Drupal, WordPress, B2Evelotion, Gallery) in just a few clicks. What’re the available payment methods for WebHostingPad? WebHostingPad accept all sort of credit card payment but not PayPal and Check. Yes, I think WebHostingPad is perfect for those who are looking for a budget host. How long does WebHostingPad’ trial period last? New WebHostingPad customers are protected with a 30 day money back gurantee. WebHostingPad is overselling, how do you find the services? WebHostingPad is doing excellent for me so far and I have nothing to complain. What’s the DNS for WebHostingPad is? Can I host adult websites at WebHostingPad? Yes, WebHostingPad allows adult website hosting. Can I get SSH access in WebHostingPad shared hosting plan? Yes, WebHostingPad does support SSH access. However you will need to email the support department to activate SSH service for your account, plus, there is a one time setup fee of $24.95 for SSH. Well that’s all for the Q&A. I hope it helps and in case you need more information.